Lightning might be a lot more common than most people think — with almost 2,000 thunderstorms pounding the Earth at any given moment, it means there are about 50 lightning strikes per second, and some of it could be heading your way. But installing a lightning rod may strike away some worries about a bolt heading for your home, says a Texas A&M University lightning expert. 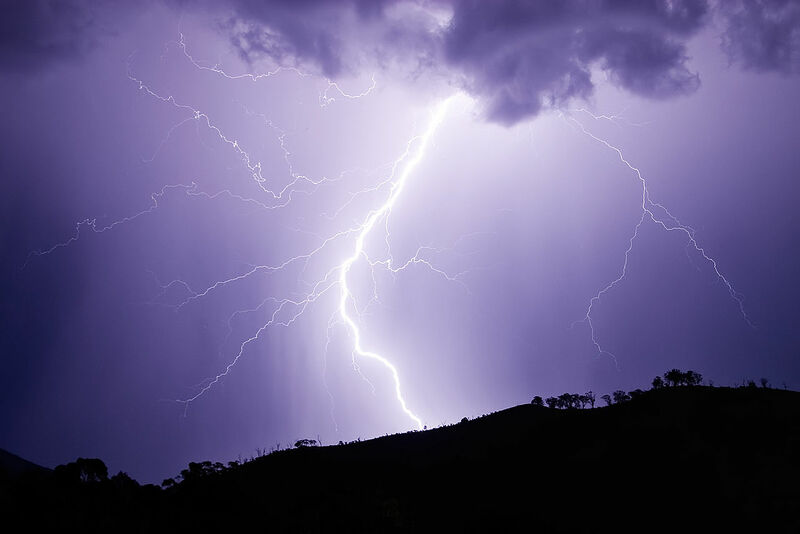 Richard Orville, professor of atmospheric sciences who has studied lightning for more than 35 years and established the National Lightning Detection Network, believes that lightning rods are useful tools for negating the positive power of a lightning bolt. More than 20 years ago, Orville led key studies in the physics of lightning and helped to establish the network which is located in 48 states and Canada and detects most (95 percent) lightning ground strikes. “Lightning rods provide a safe path for lightning to ground,” he points out. His own home not far from the Texas A&M campus was hit by a powerful lightning bolt in 2008, and it smashed into a tree 18 feet from his house, and from there it did damage to his swimming pool lights and his home’s electrical system. The final repair bill was about $4,500. Few homes today are equipped with a lightning rod, but if you live in an area where thunderstorms are common, it might be a good idea to have one, he notes. He says Houston is the lightning capital of Texas, and the city gets about 20 strikes per square mile each year. Very tall structures are almost certainly going to be hit by lightning, he adds. New York’s Empire State Building, at more than 1,400 feet tall, has been hit by lightning thousands of times since it opened in 1931, but it was built with lightning rod features. “Today, most skyscrapers in big cities include such features, and these include lightning rods,” Orville says. “It’s a standard building procedure. If you want a lightning rod for your home, kits are available at many building supply centers or can be ordered online. “They can give you peace of mind because they do work,” Orville confirms. “I would recommend having more than one along a roof line especially if it is a large home, and unless you are a super duper handyman, it’s one job a professional installer should do.